By Caribou Coffee Company, Inc. Developer: Caribou Coffee Company, Inc. 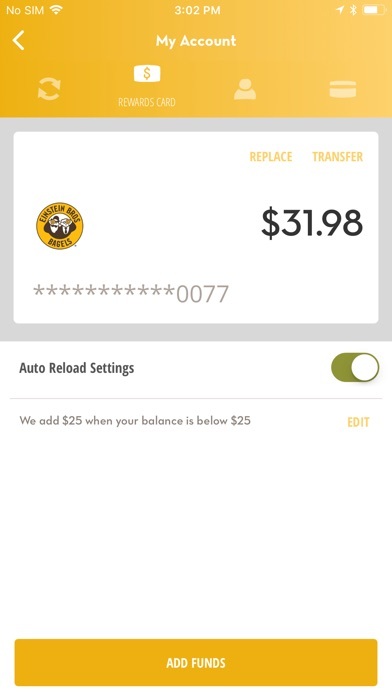 The Einstein Bros Bagels mobile app is the most convenient way to pay and check-in to earn rewards. Mobile pay means you can leave your wallet at home, and using the app to check-in with Shmear Society means earning and redeeming points is easier than ever! Convenient Mobile Pay Mobile pay makes it easy to scan your app, grab your favorite sandwich and coffee, without fumbling through your purse or wallet. Use auto-reload to keep your app charged up and ready for your adventures. Rewards Made Easy Check your app to see current rewards, and show us your barcode to check-in and start earning points. Not a member of Shmear Society yet? Sign up right from the app and get rewarded on your next visit! 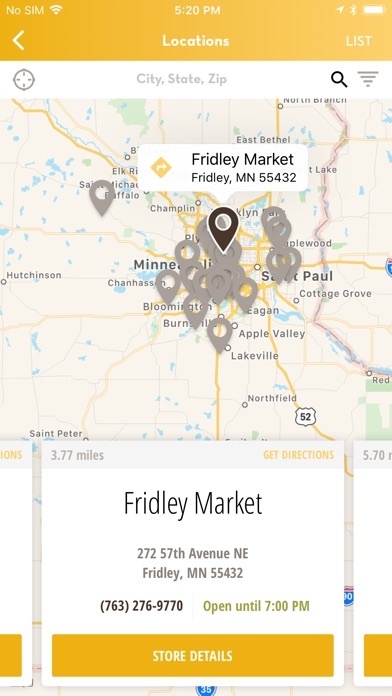 Find a Store, Simplified Need bagels now? 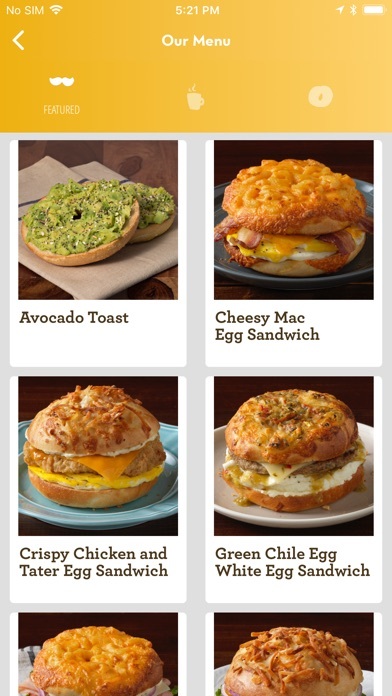 Quickly find your nearest Einstein Bros Bagels using the mobile app to conveniently fuel up and get on with your day. eGifting On The Go Make someone’s day with the gift of bagels. 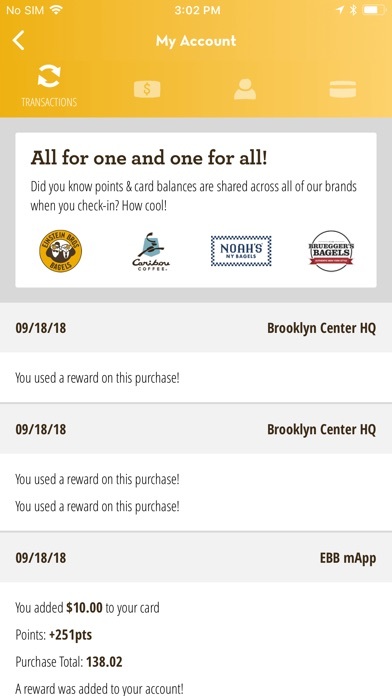 Sending an eGift from the Einstein Bros Bagels mobile app is an easy way to let them know you care, with each and every bite. Menu and Nutrition at Your Fingertips Searching for your new favorite sandwich? Our entire menu is just a few taps away, ready to browse. Need nutritional information? It’s easy to find on the go. The app would be better if you could order ahead, like Starbucks has etc. I love the specials, the ease of ordering, and functionality of the app! Great food! Goes well with the Caribou Coffee app! Absolutely looove me some bagels and coffee from here!!!! yummy!! I was happy to see this app was available. I use it daily. Love the Asiago bagels. My go to place for delicious bagels. Any business that provides an application for your phone to earn points for “Free Items” automatically has my thumbs up. Loving the new app! Makes checking in easy! 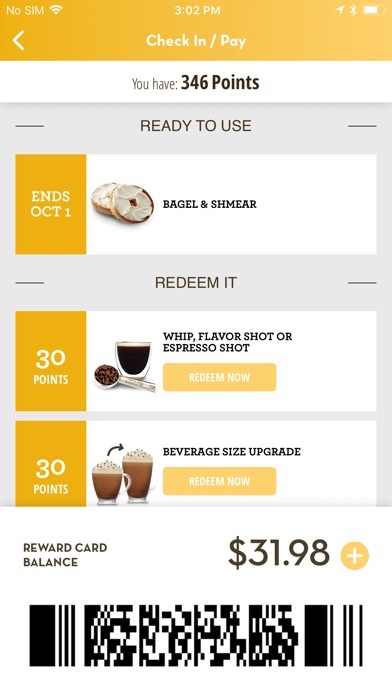 A perfect way to track and redeem points you earn through the Einstein rewards program. I’m a big fan of Nova lox and bagels. Their Super Nova is the best! 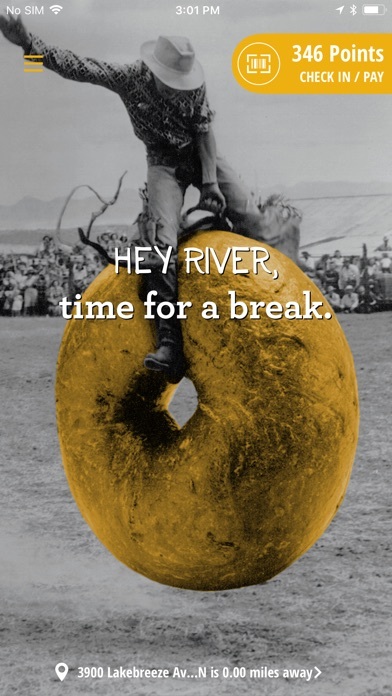 I’ve tried some of their other bagels, too. Their shmears are really tasty. 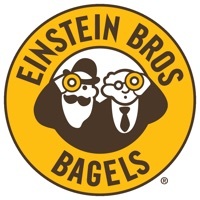 So glad we have an Einstein Bagels nearby! Easy to pay. Enjoy points. We were saving up for a dozen bagels. We said NO!!! to the reward so we could save up the points. So we paid full price for a special drink at caribou. For some weird reason it used the points to get the special drink. The next day we looked at our points and we didn’t have nearly as many. Edit, sorry we thought that happened but actually my husband used it and we didn’t know, we are are really sorry. Have found the staff to be courteous and helpful-offering suggestions,etc. yet moving the patrons along quickly fulfilling their requests. The bagel sandwiches are great. So good and always nice service. Great customer services always very nice. Absolutely Love my Edgewater Einstein’s. Love the app! Easy to use and I love the rewards! Love Einstein Bagels. Everything I order is always a ten. Yum, Yum, Yum. Love it, this is my second time there and will be back. I love the bagels! Having the app just makes it that much better! Lemmon Ave store rocks!! Despite long lines Karen kept it together. Janet and Judy are fastest sandwich makers ever. We are faithful customers to the point Janet or Judy knows our orders automatically!! Great place. I’ve been going to this Einstein Bagels in Oceanside do decades 😊 love love love. The main guy there Elmo is great also he cheers me up every time and I always like my bakers dozen, sliced and with freezer bags 😁. I love the cinnamon strudel it’s delicious, I’ll take that home heat it up with butter and with their coffee it’s very tasty. The place is always clean and the atmosphere is always welcoming. Love it and will keep going for many years to come. I love the honey wheat bagels and Caribou coffee - absolutely the best! The app is easy to use and I love to get rewarded for my purchases! The people that work behind the counter are always smiling and willing to help in any way.